Thank you very much A. and his brothers from Belgium for your stay at guest house Tomida ! 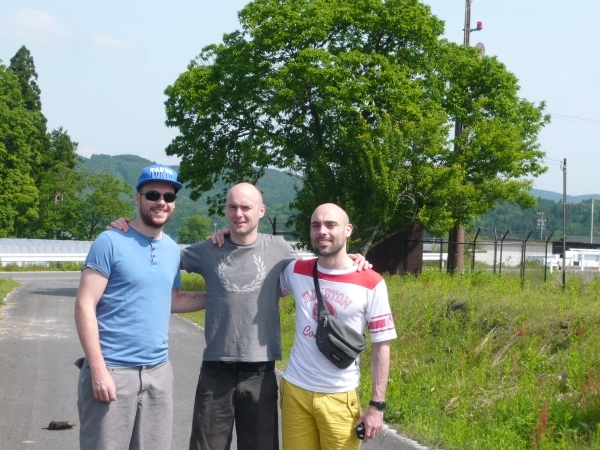 Those guys were very nice and they spent 4 days wandering around Iwamura by car rent in Osaka. As they love nature, they went swimming in a Nezame no toko (Kiso River) but the water was still cold. 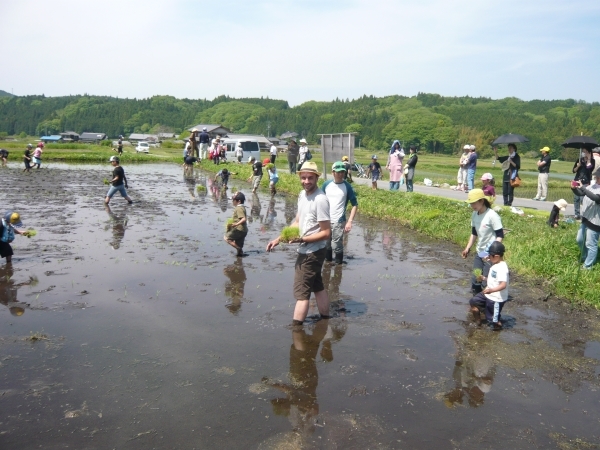 They also appreciated the green tea at Kamiyake, visited Tsumago Magome and Nakasendô. 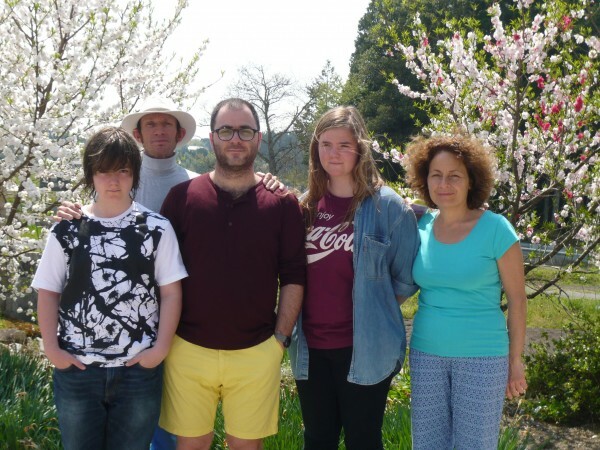 We thank J-M and his family for their stay at Iwamura. They wanted to try something else in Japan, far from the crowded touristic places and they definitely got it ! They enjoyed the local scenery and with the rented car, they could visit Tsumago Magome and relax at the Sasayuri Onsen – a real plus after a hard day of sightseeing. Then they spent one lazy day in the village, discovering the Old Town and the Iwamura Castle ruins. J-M told us that he wants to come back alone to experiment the real Japanese way of life for at least 3 weeks and it will be a pleasure for us to welcome him again.